Our mission is to elevate your style and use our designs to promote simplicity & mental health. Each piece should make your look easy, effortless and stress free. The Da Vinci Pendant is the debut piece in the newly launched collection. 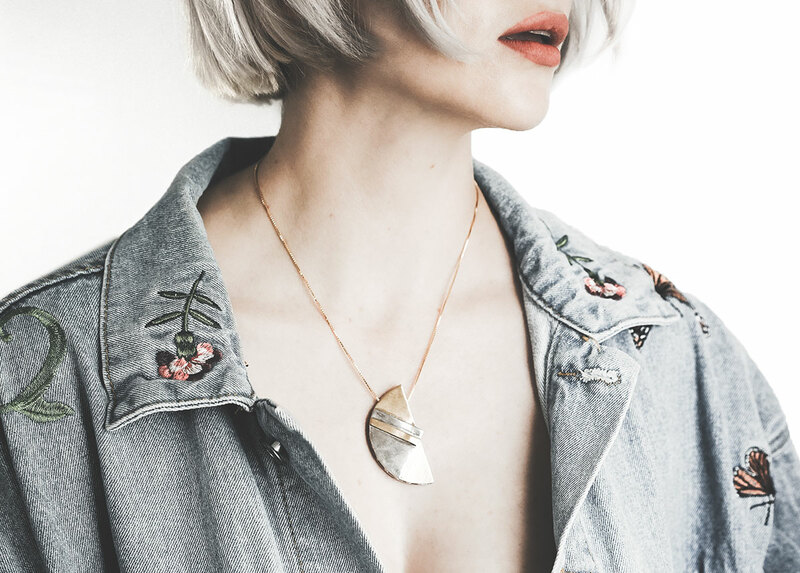 Available in several metals, the pendant's defining feature is its unique design which enables you to wear the piece however you want. The intention behind the design is to highlight the notion that one piece can be worn and styled endless ways. As you scroll down, you'll see that we got a little crazy and even combined 2 pendants and several chains to create a pretty badass body chain!!! 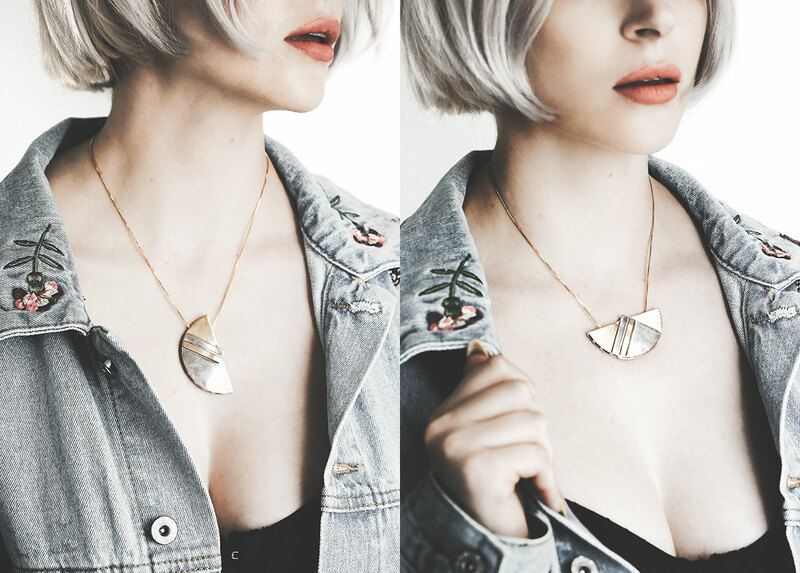 Case and point: The Da Vinci Pendant (and its accompanying chains) can really be worn any way you want. With every purchase, The Always Coco Collection will donate 5% to the National Alliance of Mental Illness. We feel pretty strongly about Mental Health Awareness, having our own personal stories and battles with addiction, anxiety and mental illness. It's frankly ABSURD that mental health is a topic that so many are afraid to talk about and YET so many are affected by it— seriously its remarkable how prevalent mental illness actually is— I guarantee if you had a real conversation with the person next to you, you'd realize that everyone has their own relationship with mental illness. All this to say, mental health is like the hot pink elephant in the damn room. On the bright side, things are changing. Society is opening up. Every time we talk about mental health, I believe we are slowly stripping away the taboos surrounding the issues. IMPORTANT: There is no shame in asking for help... in fact, its probably the most courageous thing a person can do. 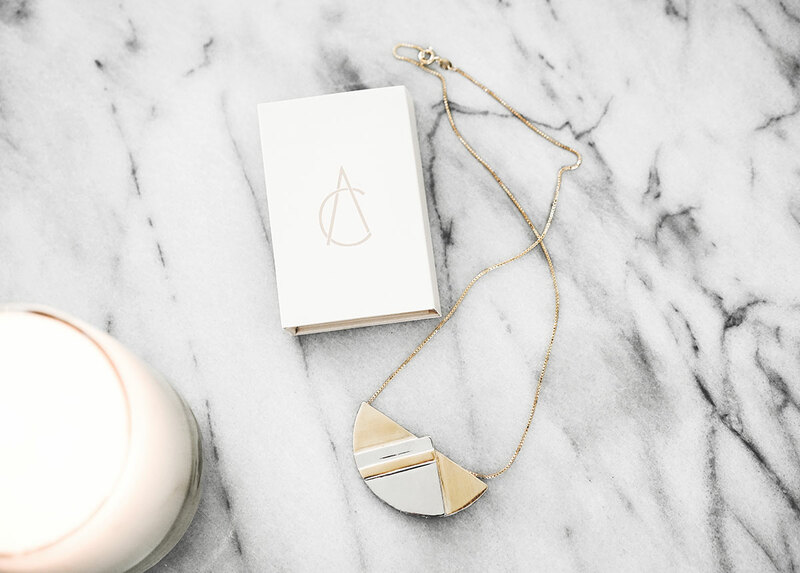 With May being #mentalhealthawarenessmonth— its a perfect time to purchase the Da Vinci Pendant, live more intentionally and spread the word about mental health.